Ibn 'Arabi Society was has made available many beautiful and valuable audio talks in its website. What is very praiseworthy is that such talks which is now FREE for all, would otherwise cost hundreds of dollar just to participate in the conferences or symposiums; let alone the limitation of time and space. Internet technology is truly wonderful! >> the audio broadcasts are updated monthly. pls visit here to check. itune podcast subscription is also available. The site is in the process of converting many of its USA Symposium talks to digital audio, and to making them available in the popular mp3 format for download. 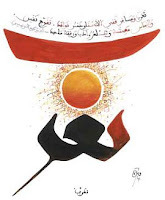 About | The Muhyiddin Ibn 'Arabi Society was founded in 1977 to promote a greater understanding of the work of Ibn 'Arabi and his followers. It is an international association with its headquarters in Oxford England and a branch in Berkeley California. Mystic, philosopher, poet, sage, Muhammad Ibn 'Arabi is one of the world's great spiritual teachers. Ibn 'Arabi was born in Murcia, Al-Andalus, in 1165 and his writings had an immense impact throughout the Islamic world and beyond. The universal ideas underlying his thought are of immediate relevance today.